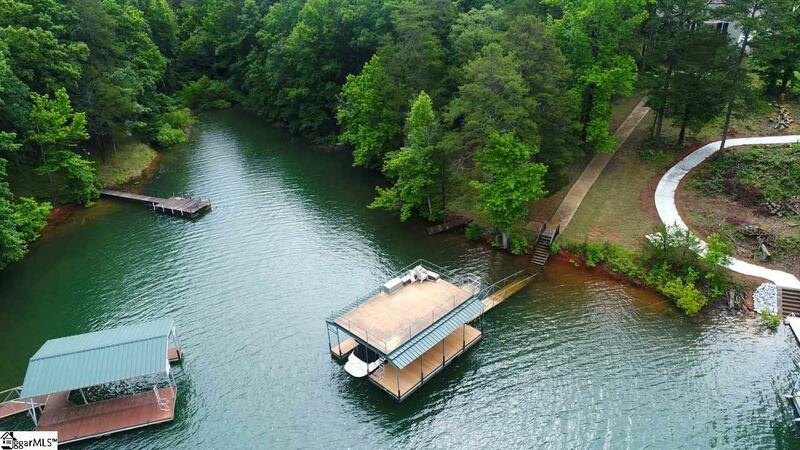 Four bedroom, four bath waterfront home on Lake Hartwell with double deck dock in place on good water. Home was built in 2007. Home features hardwood floors, granite countertops, large lakeside deck with screened porch, and walkout basement. Two bedrooms are on the main level including the main master suite. A second master suite and additional bedroom are in the lower level along with two common areas currently used as a media room & a wet bar. Property also features attached two-car garage and detached garage/storage buildings. Listing provided courtesy of Jody Cann of Cann Realty, Llc.